Buying a new car is an exciting endeavour, but you will need to take vehicle financing into consideration and ensure you budget correctly. While you might want the fastest sports car on the market, your finances may not cater for it and so you will need to budget and plan. 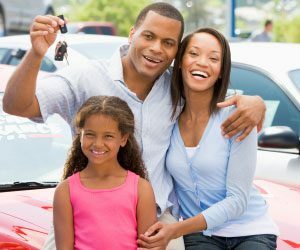 Choosing a car that suits your lifestyle will help you to keep costs down and get through each month comfortably when it comes to finances. When preparing to buy a new car, take the time to make a list of all of your monthly expenses. Then consider how much you can afford to spend on a car. It is important to realise that it is not just the monthly vehicle finance instalment you will pay each month, but also insurance, repairs, maintenance, servicing and running costs. When shopping around for a car you will need to apply for finance with a number of lending institutions. This way you can compare quotes and interest rates. Most vehicle financing concerns will base their loan offer on your credit score. If you are seen as a high risk, you will be expected to pay higher interest rates. Ensure the finance you are offered covers any outstanding balance that you have on your existing vehicle. Consider a co-signer with a higher credit score if your score is too low to obtain finance. Compare interest rates. While you might be expected to pay higher interest rates than someone with a good credit score, there will still be options for you to choose from. If you want to keep your monthly installments low, consider a down payment of approximately 20% of the value of the vehicle. These are just a few things to consider when looking for the best vehicle finance option for you. For more vehicle financing tips and advice and for assistance with finding a new car, contact us at Earn-a-Car today.